One less worry. Finally. Working with Little Wanderers got a LOT of good done, but it was taking time and effort away from our own space monkeys outback. 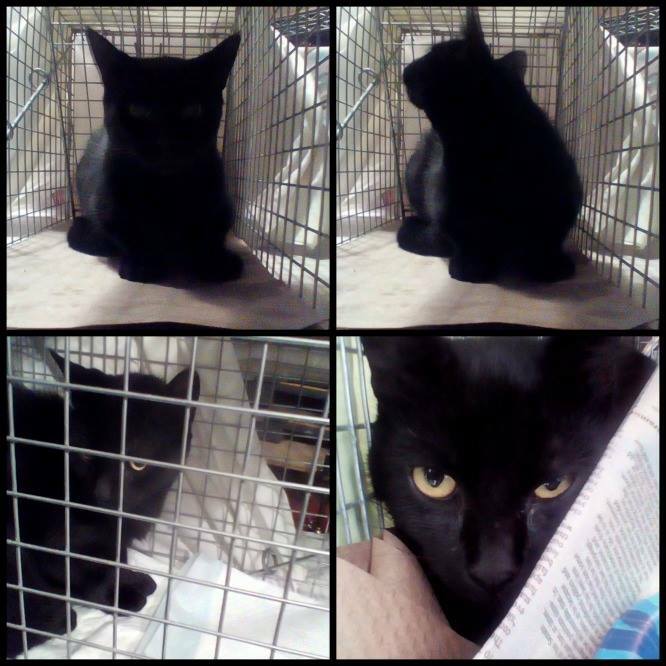 With the help of one of our own cage/traps, a gift from Paula in Boston, one of our poster girls, Liza, has finally been taken care of. Our last benefit from working with the Wanderers was the ability to transport Liza to the ASPCA in Queens for her surgery, vaccinations, worm treatment etc. PLUS it was found she had an ovarian cyst. It was taken care of but it that wasn't included in the free ASPCA deal. Humane trapping is not for the faint of heart, especially when you've been working with a feral like Liza for so long. You can't help but feel like you've tricked her and it's very frightening. Here we see her before and after surgery. The only way you can tell is that there is a little snip off the tip of the left ear. This is to let anybody know that she's already been spayed in case she ever leaves the area. I hope she doesn't, but right now she's pretty ticked off at me. I have to remind myself of all the benefits she received. Click here to help or share! Thanks!